The most crucial game of the last round was the first loss of Cangrejeros (2-1) in Maturin on Saturday night. Hosts were defeated by Gladiadores (4-1) 72-67. Gladiadores maintains first place in A with 4-1 record. Cangrejeros at the other side keep the second position with one game lost. Important game to mention about took place in Tucupita. 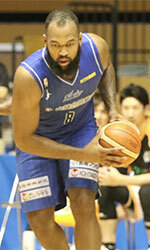 Fourth ranked Acereros (2-2) saved a 3-point victory on the road edging bottom-ranked Buffalos (0-4) 79-76 on Saturday evening. Acereros moved-up to third place in A. Buffalos at the other side still closes the standings with four games lost. Very important is a road loss of third ranked Guerreros (3-2) against fifth ranked Comuna (2-3) on Saturday night. Visiting Guerreros were defeated by Comuna in a tough game in Caracas 80-84. Comuna maintains fifth place in A with 2-3 record. Loser Guerreros keep the third position with two games lost. An interesting game for Recicladores (4-1) which played road game in Caracas against 4th placed Atleticos (2-3). 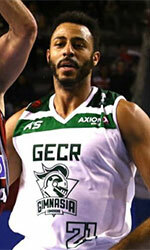 First ranked Recicladores managed to get a 6-point victory 73-67. Recicladores maintains first place in A with 4-1 record. Atleticos at the other side keep the fourth position with three games lost.